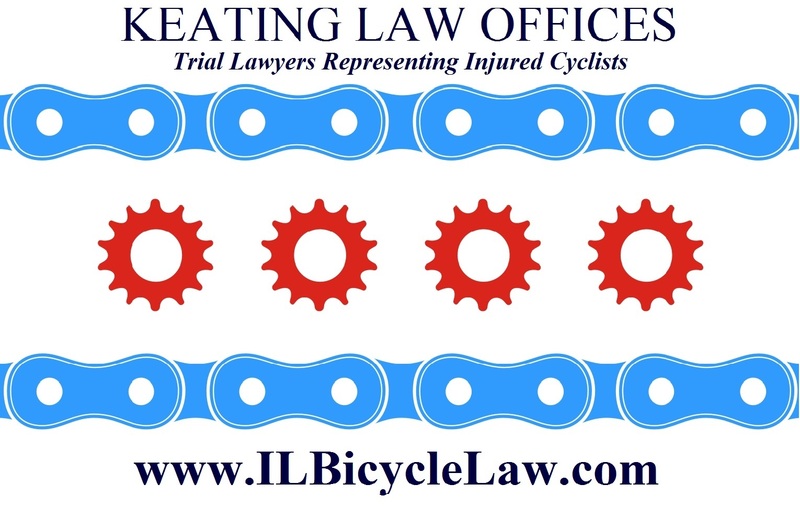 The Illinois Bicycle Lawyers at Keating Law Offices have been retained to represent a bicyclist struck by a passing motorist on Milwaukee Avenue. On the evening of August 1, 2013, our client was riding his bicycle on Milwaukee Avenue when a motorist traveling in the same direction struck our client while attempting to pass his bicycle. As a result of the collision the bicyclist fell and sustained injuries to his shoulder that required medical attention. The motorist's actions blatantly violated Section 11-703(d) of the Illinois Rules of the Road, which requires a motorist passing a bicyclist to leave a safe distance of at least three feet between his vehicle and the bicycle he is attempting to pass. Obviously, the motorist in this case failed to maintain a safe distance when his motor vehicle came into direct contact with our client's bicycle. In a strange sequence of events, immediately following the collision, the motorist pulled over, took our client and our client's bicycle to a nearby repair shop, and paid for the repairs on the spot. The motorist also gave our client his first name and phone number. However, the motorist did not answer when our client attempted to call the motorist for payment of his medical expenses from a subsequent emergency room visit. Unfortunately, there is also not a police report on file containing the motorist's contact information, because the motorist prompted our client to leave the scene of the collision to get his bicycle repaired immediately. 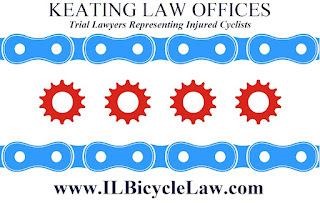 Working with our client, the Illinois Bicycle Lawyers at Keating Law Offices located the full name of the motorist involved in the collision by obtaining the name on the credit card used to pay for our client's bicycle repairs at the repair shop following the collision. We are currently in the process of obtaining insurance information based on the name of the driver and the make and model of the vehicle. The claim will be pursued to the fully extent possible in an effort to help this bicyclist who did the right thing and got legal assistance when left in this confusing situation.